The tiny artificial stingray is the first step to bigger, more complex tissue-engineered robots, scientists say. It’s a cybernetic organism. Living tissue over a metal endoskeleton. No, it’s not the T-800 from the 1991 film Terminator 2 – but a robotic stingray made of rat heart cells stretched over a gold frame that can glide through water just like the real thing. Sung-Jin Park from Harvard University and colleagues in the US and South Korea showed off their new method for building bio-inspired robots with engineered tissue in the journal Science. Batoid fish, a family that includes stingrays, are ideal inspiration for robotics. As they manoeuvre through water, their wing-like fins ripple with a front-to-rear undulating motion. And by subtly shifting these ripples, they’re able to nimbly steer. This means they're exceptionally energy-efficient swimmers and, as a bonus, their flattened body stabilises them against rolling. Inspired by batoids, Park and colleagues decided to reverse engineer a stingray’s muscle and skeletal structures – albeit on a smaller scale. A 3-D body made of stretchy polymer, overlaid by a stiff gold skeleton and another stretchy polymer layer, comprised most of the robo-ray. Living cells were added last. They weren't just any old cells. To copy the stingray’s undulating waves, the researchers looked to tissue that contracts naturally. And what better than those that keep hearts beating? They genetically engineered rat heart cells to contract when exposed to certain coloured light. These were printed onto the top of the robo-ray in a "serpentine" pattern, like squiggles, on the fins. 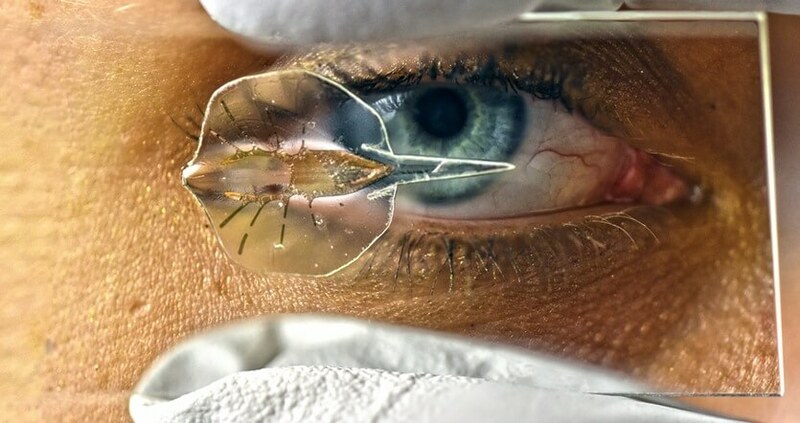 The robo-ray ended up just 16 millimetres long and weighing 10 grams, but housed 200,000 heart cells. Cells at the front of the robo-ray, when stimulated, contracted the fins down. When they relaxed, the gold skeleton popped them up again. This movement stimulated the neighbouring cell to contract, and so on down the line (just as it does in the heart, where a signal starts in pacemaker cells). And when popped in a 37 ºC salt solution – similar to a rat heart environment – with glucose for energy and a light, the tiny hybrid propelled itself through the liquid, albeit very slowly. With an average speed of 1.5 millimetres per second, Park and colleagues steered it through an obstacle course by adjusting the light's brightness on either fin – more intense light caused the cells to twitch faster. And it could maintain 80% of its initial speed for six consecutive days. Their prototypes, the researchers write, are a step towards “autonomous and adaptive creatures able to process multiple sensory inputs and produce complex behaviours”.